Time to check your Spinnaker Pole ends…..??!! At a very crucial moment (!) in the second race last weekend, our spinnaker pole end decided to shear off. That’s not happened to us before. We have Selden ends. When I inspected the remaining end I realised that a fair bit of wear can set in. I’ve replaced both ends now, but you might want to check yours too. Have you seen P&B’s New Website….??!! It probably sounds a bit nerdy for me to admit that for years I have always slept with a P&B catalogue under my bed. But it’s true. 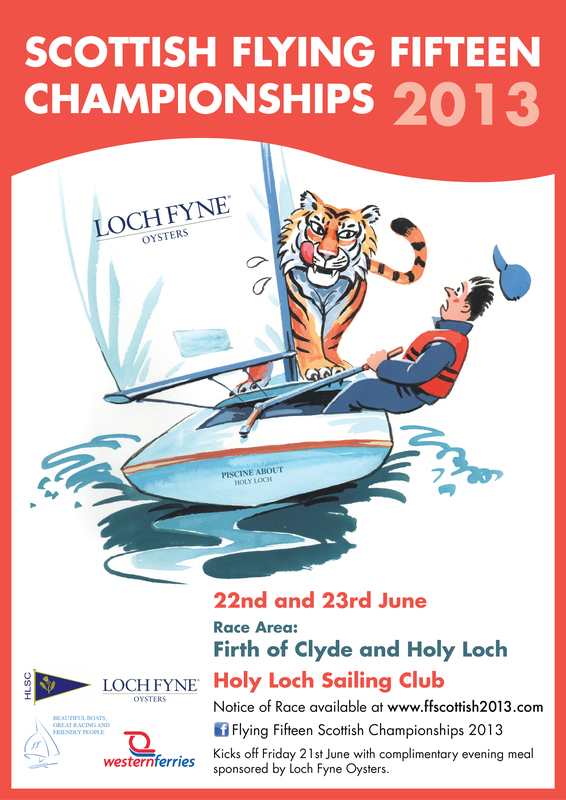 Invaluable for planning the sailing year, and brilliant for a midnight read. I note that this year the cover (left) has a Flying Fifteen photo – brilliant !! Thank you, Alan!! In years gone by, much distribution was by direct mail and there might also have been a year when it came with Y&Y magazine. For 2014, it’s all change !! Now you should apply for it online or, for very advanced people, apply for it via the P&B facebook page. Graham Vials and the P&B Race Team…..
A very nice piece on Graham Vials in the P&B Blog – click here to read it. P&B Winter Pricing has Started…..!! In case you didn’t get their email, P&B’s 15% discount season on Sails and Covers has just started!! Great deal !! P&B Discounts Sails to 20% This Week……!! In case you’ve missed it, for this week only P&B are offering 20% discount to the first ten FF customers ordering sails…. P&B “South” Opens Officially Next Weekend….!! It’s great news for Flying Fifteeners that P&B are going to open up in the South as well !! Do you know where it is?? 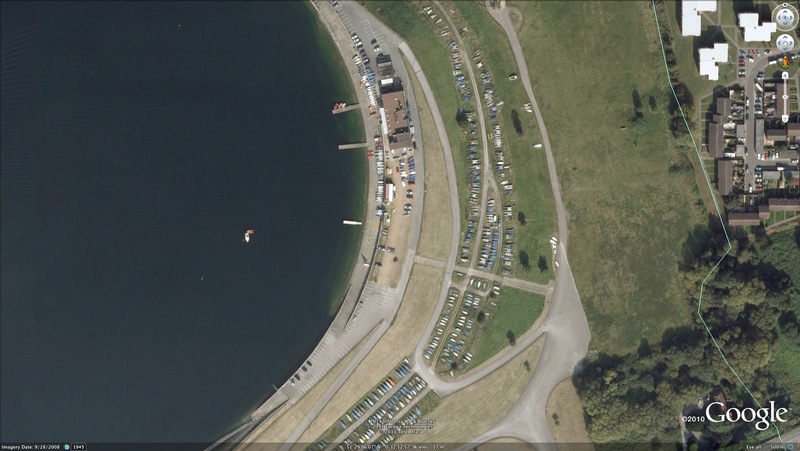 Here’s the address…..
Basically just off junction 9 of the M27. 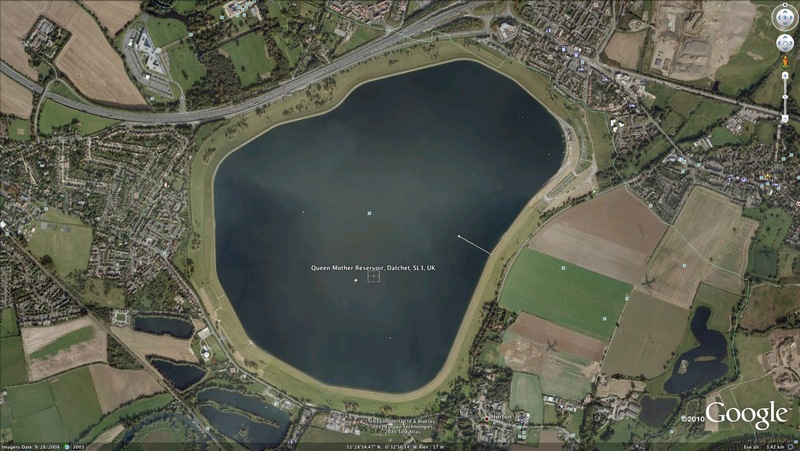 For the Datchet Fleet this is almost exactly equidistant with Northampton – so which you choose is going to depend on where your home is, what the traffic is like and all that!! Watch out for the official opening! New Keels Coming ….!!! Science Arrives….. The first person who mentioned CNC Milling of keels to me was Charles. I had to go and look it up!! “Computer Numerical Control” is what it stands for – and CNC milling is I guess a vertical milling machine that can reproduce a 3D object from a digitised image…. As you will all know, we can now simulate drag, windage and all that stuff on a computer now, way before having to build anything in real life. The keels are still cast in sand, like the Romans did, and there is a tremendous labour content in casting and finishing our keels – did you know a new one costs about £1,500 by the time you get it under a hull? Well, the Blog has heard that P&B have two experimental CNC keels under wraps. They have digitised the shapes and are starting to try and figure out more systematically what the optimum might be. And we might actually get cheaper keels maybe?! In this case I think the CNC milling machines are used to create an acrylic plug, from which the lead keels would then be cast. What might we expect?? Well nobody has ever been definitive about the best tapering bulb shape – and there must surely be an answer that’s not “forty two”!! The thing I recall Charles pointing out is that the flow line of the keel must bear some kind of relationship to the waterline of whatever hull it sits beneath. You would think for example that the central fore and aft line through the keel needs to be parallel to the waterline for example – well, who have we ever heard being definitive about that? Especially when we went from Mk 9 to Mk 10 hulls which float a bit differently. Hmmmmm …. well, hopefully, we are about to find out. And I bet it’s not forty two…..
A short while ago we wrote about the wonders of weathermax material for boat covers – mine’s great! However, I just saw a stunning example from P&B in dark blue material- grey taping – it looked marvellous!! Much better than my ‘normal’ blue one in fact…!! Remember, if you fancy one from P&B – hurry !! Their discount offer closes in one week’s time…. 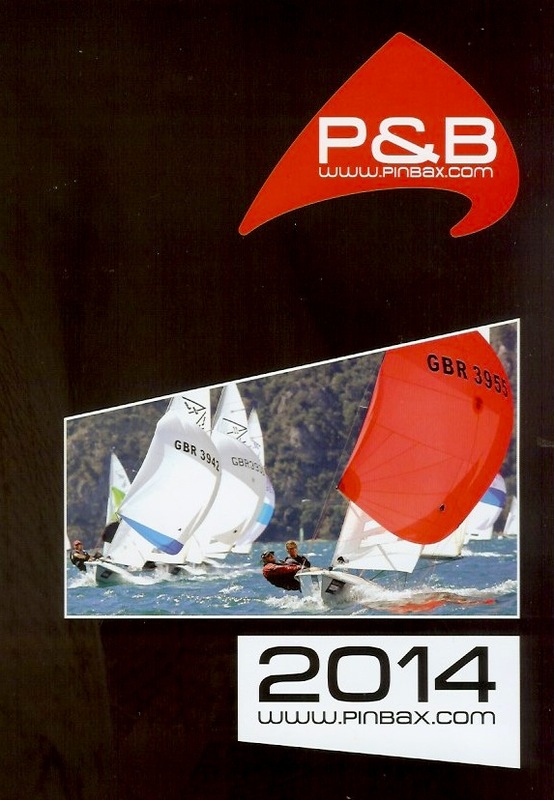 Just remembered – P&B discounts on sails and covers ends in about two weeks time – on December 21st. Certify the Sail Maker, Not the Sails !! 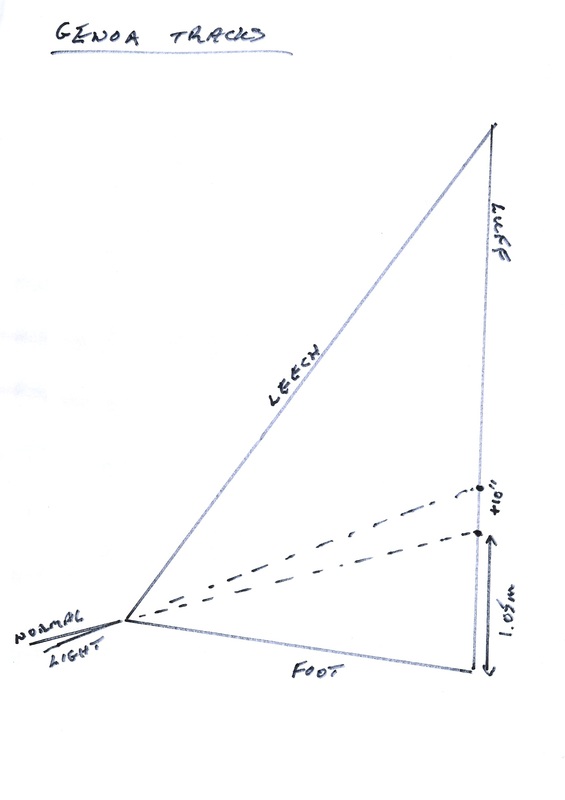 Around 3 AGM’s ago I recall a discussion that ISAF was going to certify our sailmakers so that we, the owners, did not have to go to the fag of measuring in new sails each time we buy some…. I was gazing (longingly) at a new P&B spinnaker yesterday and noticed that it had two labels on it. It was of course proudly bearing the P&B logo, but at the head was a little ISAF label. It said “ISAF In House Certification” and bears a 5 digit serial number. It was also signed and dated by, I guess, the sailmaker. Perhaps someone from P&B can leave a little explanation as to how all this works in the comments section for this blog item?? Well, this is brilliant news!! It might put a glum face on our Club Fleet Measurer who will no longer have that huge fee income – albeit terrifyingly liquid as a rule!! This is a great step forward and presumably someone somewhere is watching the number of suits per year and all that?? I assume it means a little ISAF fee on each sail too – in lieu of liquid fees to the Vice Commodore of Measuring. If I recall correctly, the Dragons also somehow filter some of that ISAF fee back to Class Associations as a little bit of income. That really focusses the mind – I have long believed the correct way to describe the BIFFA ‘mission’ is to say Get More People Sailing Flying Fifteens More Often. So the more we sail our boats, the more sails we consume, and the more association income increases. A lovely little virtuous circle…. I don’t know why I have never noticed before, but P&B run a great weekly round up on a P&B Blog.